French artist Mary Chaplin is based in Picardy, North of Paris. She has been making her stunning floral works in her idyllic studio in the countryside for many years. Inspired by the beautiful flowers and plants she cultivates in her own garden, her paintings are vibrant, fresh and lively. 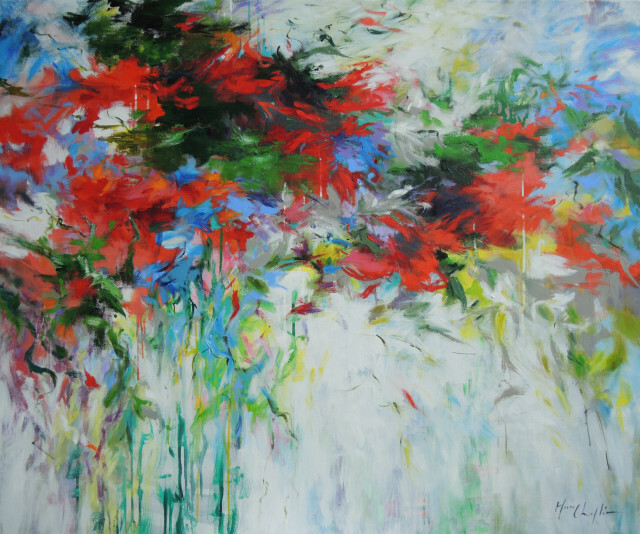 Mary is influenced by Monet, the light as it moves through her environment during each season and nature. Mary works predominantly in acrylics on linen and creates each work over a few weeks allowing it to 'rest' between each painting session. Her process is paced this way so that she is able to determine when the work is ready or if it needs some more layering.